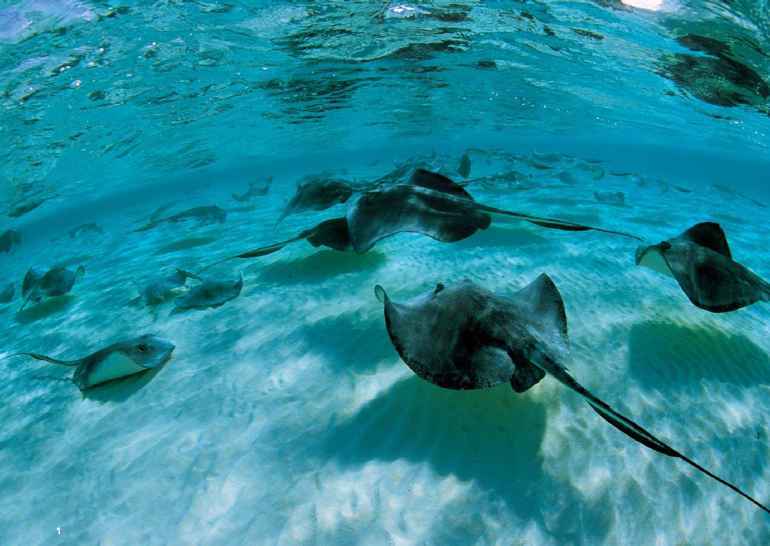 Daily homecoming at Sandbar, Grand Cayman. 2. Soaring over Bloody Bay Wall, Little Cayman. 3. Place footprint here: world-famous Seven-Mile Beach. 4. Hawksbill in a hurry at Sunset Reef.